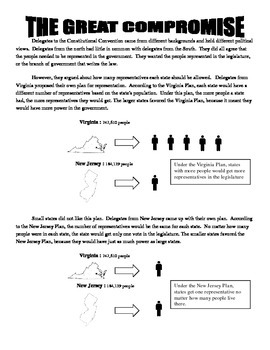 Resource includes an easy to understand explanation of the Great Compromise using visuals, which can normally be a difficult concept for students to understand. Resource also includes an assignment with three short response questions and three multiple choice questions. 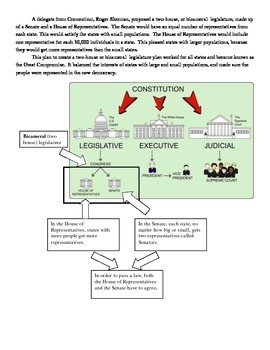 Can be used as a teaching guide, classwork, or homework.